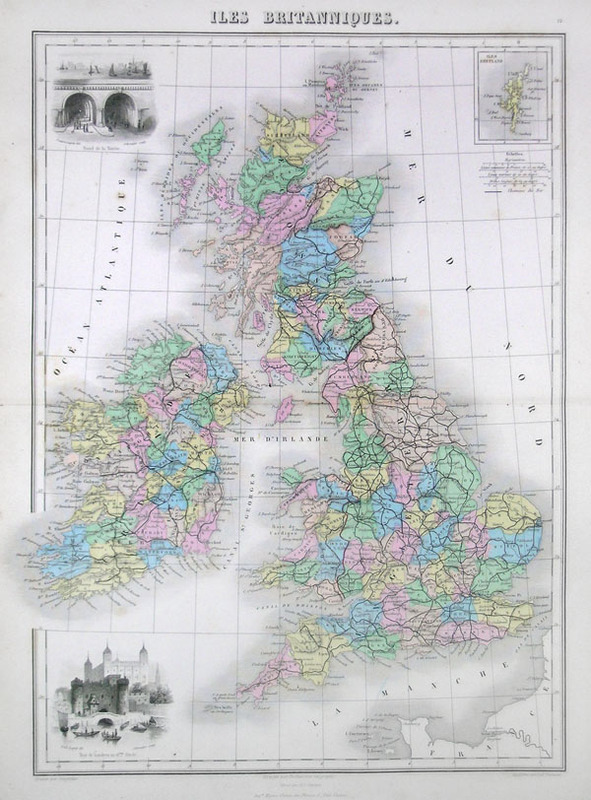 This hand colored map of the British Isles is a steel plate engraving, dating to 1878 by the well regarded French cartographer Migeon. It includes England, Scotland, Ireland and Wales. Migeon's Geographie Universelle, published in Paris, is one of the last fine atlases produced in the 19th century. It contains many stylistic elements of early 19th century cartography such as full hand coloring, numerous decorative vignettes, and high quality low acid paper.